We hope they're up to the challenge! 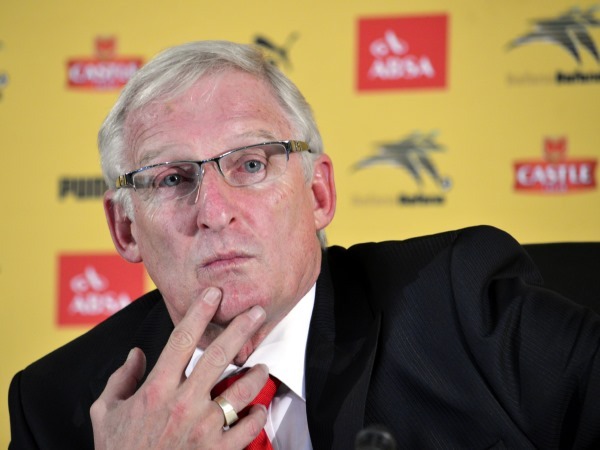 Bafana Bafana coach Gordon Igesund on Friday named what he described as his strongest squad to face World Cup hosts Brazil at FNB Stadium on Wednesday, March 5. The 23 players are: Goalkeepers: Itumeleng Khune (Kaizer Chiefs, captain) and Ronwen Williams (SuperSport United). Defenders: Thabo Nthete (Mamelodi Sundown), Bongani Khumalo (Doncaster Rovers), Buhle Mkhwanazi (Pretoria University), Siyanda Xulu (FC Rostov, Russia), Anele Ngcongca (Racing Genk, Belgium), Thato Mokeke (SuperSport United), Thabo Matlaba (Orlando Pirates). Midfielders: Dean Furman (Doncaster Rovers, England), Kagisho Dikgacoi (Crystal Palace, England), Siphiwe Tshabalala (Kaizer Chiefs), Daylon Claasen (Lech Poznan, Poland), Thulani Serero (Ajax Amsterdam, Holland), Andile Jali (KV Oostende, Belgium), Oupa Manyisa (OrlandoPirates), Ayanda Patosi (Lokern FC, Belgium), Lindokuhle Mbatha (Platinum Stars), Bongani Zungu (Mamelodi Sundowns) and Hlompho Kekana (Mamelodi Sundowns). Strikers: Bernard Parker (Kaizer Chiefs), Tokelo Rantie (Bournmouth FC, England) and Dino Ndlovu (SuperSport United).